With so very many different shapes of pasta around it's hard to know which pasta dishes they should be used for! 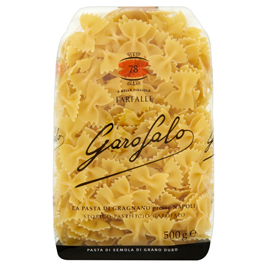 I have to admit I'd never tried Garofalo Pasta until recently when I was very kindly sent a huge range to try. Of course I haven't got round to trying them all as yet, but one thing's for sure, this pasta is GOOD! 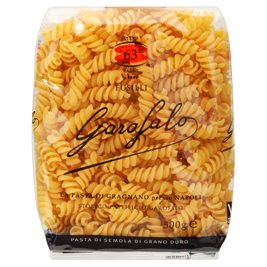 It's hard to describe but Garofalo Pasta certainly tastes richer and fuller in flavour than most other brands. 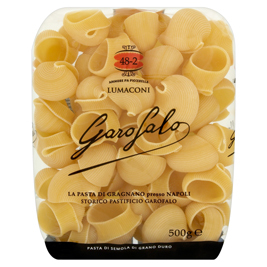 Yes I'm converted - Garofalo is the way to go if you want Top Quality Great Tasting Pasta. 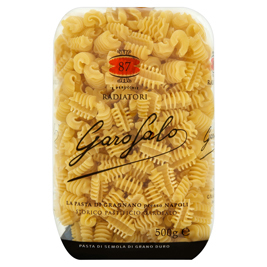 Garofalo Pasta have a huge range of pasta, sauces soups and more. Created from only the finest durum wheat in Gragnano, which is in the shadows of the ruins of Pompeii. 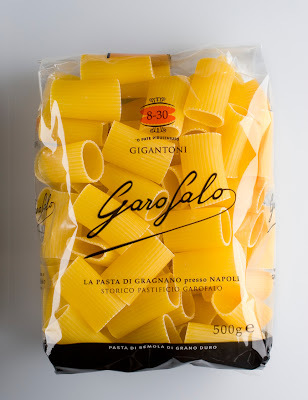 Garofalo have been making pasta there for more than 300 years combining the art and skill of traditional Neapolitan pasta making with the latest technology to create artisan style pasta without equal. 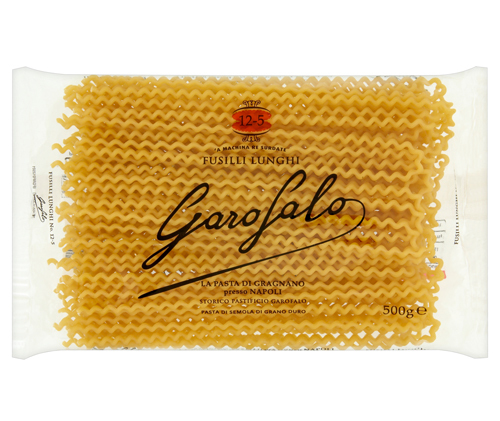 Garofalo has been elected ‘best in taste’ by the Italian blog Dissapore, Italy’s most important food network. Generally the most widely used pasta in the UK - a long, thin cylindrical pasta. Spaghetti is the plural form of the Italian word spaghetto, meaning "thin string" or "twine. Whole wheat pasta has fewer calories and a lower GI (Glycaemic Index) making it the ideal carbohydrate for a healthy, balanced diet for all the family. Spaghetti is ideal with Amatriciana or puttanesca. Is a large penne is cylinder shaped pasta. Penna comes from the Italian for feather or quill. 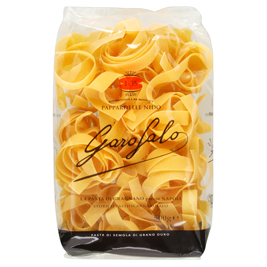 Ideal with sauces to fill the tubes such as Amatriciana or Puttanesca. A long, broad pasta. The name pappardelle comes from the Italian verb ‘pappare’ – meaning ‘to gobble up’. 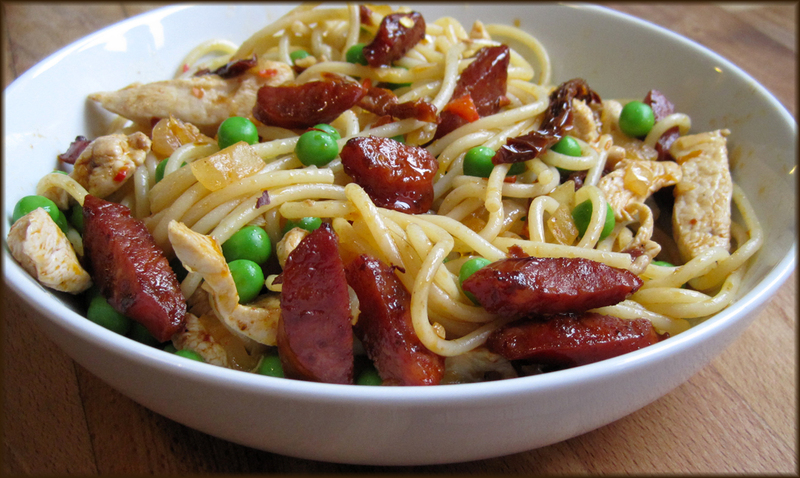 It's ideal with, oily and chunky sauces as the pasta will fold around the ingredients. Is a long fusilli pasta. Fusilli is a thick, corkscrew shaped pasta. The word fusilli comes from the Italian fuso meaning spindle, as it is traditionally "spun" over the spindle – traditionally a knitting needle. Long, thick, corkscrew shaped pasta. The word fusilli comes from the Italian fuso meaning spindle, as it is traditionally "spun" over the spindle – traditionally a knitting needle. Ideal with lentil based sauces. Radiatore is a small pasta that is said to resemble a radiator. Use as you would fusilli. 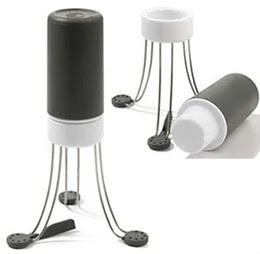 The shape makes it ideal for thick sauces, and sauces with chunks to trap the ingredients nicely. A bow-tie shaped pasta. It comes from the Italian word farfalla, meaning butterfly. Farfalle are formed from a rectangle or oval of pasta with two sides trimmed in a ruffled edge, and the center pinched together to make the unusual shape. Ideal with light vegetable sauces and any creamy sauce. An 'S' shaped length of pasta that has been slightly twisted along it’s length and is ideal with Pesto. 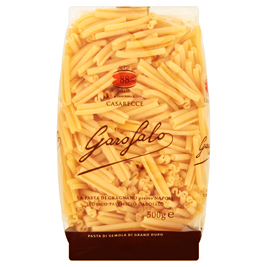 You can find Garofalo pasta in independent stores, Sainsbury's, Harrods, Waitrose or online at Ocado. Thank you to Zarya and Garofalo for sending me a huge range of pasta! For more info and the Garofalo range pop over to their website. All opinions and thoughts are my own and I was not required to write a positive review. I only ever post reviews on products I like the look of, and therefore would buy myself.